Our 2019 share offer is now live! 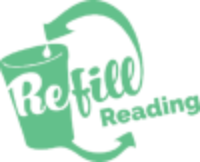 Would you like to see more renewable energy in and around Reading? Would you like to make a return on your investment while supporting local sustainability initiatives? Then our new share offer could be for you! The scheme will help deliver cost-effective, low carbon energy to local organisations and businesses. We plan to install free solar panels on at least 8 buildings this spring, with 2 further opportunities also in discussion. The building occupants will receive fixed price electricity for the 20 year life of the project, with surplus funds ring-fenced to support further sustainability initiatives in the local community. Applications are now open for individuals, organisations and businesses to invest in the scheme, with priority given to local investors (defined as having an RG postcode) and existing investors of the Society. We are looking to raise up to £363,000, with investments from £200 to £20,000 being invited. We are targeting 4.5% returns in years 1 to 3 and 5% returns from years 4 to 20. Applications can be made using the application form at the end of the share offer, online or you can download an application form. We anticipate closing the share offer on Friday 29 March 2019 at the Directors’ discretion, or sooner if fully subscribed. Wednesday 19 December, 7:30pm in RISC Room 3. The Transition Town Reading Christmas Party will be taking place on Wednesday 19th December in Room 3 at RISC, London Street from 7.30 – 9.30pm. Come help us celebrate another successful year in Transition! The event will begin by showing a 35 minute film about permaculture: “Surviving Collapse, Designing your Way to Abundance”, followed by party. We’ll be joined by Reading Friends of the Earth, Berkshire Greenpeace, and other local groups. Please bring along food to share. How fulfilling and relaxing can it be to spend your Saturday mornings planting seeds, watering veggies, chopping weeds to feed the compost? Reflecting on the benefits of this new experience, here are some useful resources. The 2018 European Permaculture Convergence is upcoming, with the aim to inspire and connect different experiences on the theme “New partnerships for Permaculture”. In this interesting article, Clair Templar, discusses about the impact of Brexit on Permaculture, focusing on the urgency of creating stronger partnership with EU. Invited by a friend to join them one Saturday morning, I put my baby on the pushbike and cycled the distance up to Southcote Grow Allotment. Surrounded by intimidating grey buildings, in an area where one in four residents live in flats with no garden to enjoy, is recent winner of the FOOD HERO AWARD. This cute patch of land is cultivated by a bunch of local families that transformed a piece of derelict land into a thriving allotment growing fresh, healthy fruit and vegetables. As simple as it can be, it is indeed a transformative experience: you grow your own food and new relationships and you teach your child to nurture nature with so much fun. Check out their FB page for the Big Lunch on Sunday July 22nd. What can I do? Toss them? No way, take it to the REPAIR CAFE’ where you will find experts in fixing pretty much anything. Out of passion and great know how. SUNDAY 15th JULY @ GLOBAL CAFE’ 12:30 | Hackspace | Tea&coffee&cakes offered. Gain inspiration and discover how to deepen your knowledge in permaculture path and start this “revolution disguised as gardening”. Trish Whitham will guide you through an introductory exploration of the ethics and principles of permaculture through exercises and mini projects. During the weekend you will examine a range of large and small projects around the world as well as the forest garden on the roof!